Every organization maintains the sensitive data regarding their operations. like personal identifiable data, personal sensitive data or commercially sensitive data. organizations are required to protect their sensitive data falling to the wrong hands. Data can be protect by doing the common stuff such as data encryption, strong passwords, and minimal privileges. 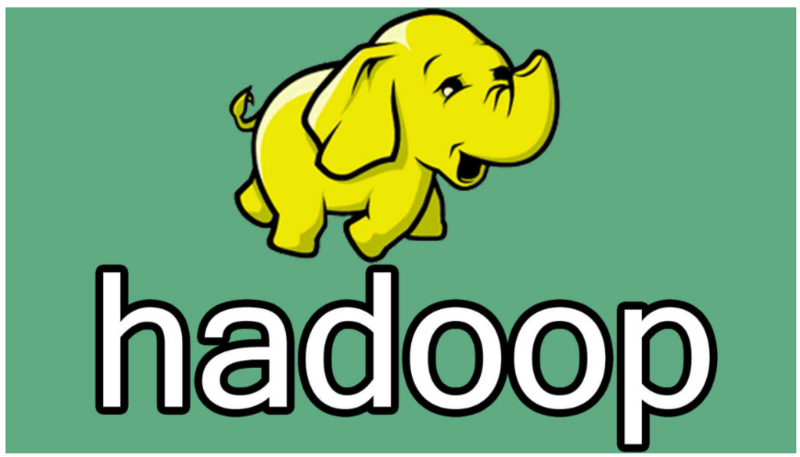 but sometimes we need to compromise to do this things as per requirement and performance of databases. To avoid the all difficulties in Oracle introduced the Data masking concept(DATA REDACTION) in Version 12C to provide more security to the sensitive data. The main advantage of data redaction police is dynamically provides realistic-looking data to the customers instated of real data. Data masking can be done dynamically or statically to protect sensitive data. Full redaction will redact all of the contents of the column data. The redacted value returned to the querying application user depends on the data type of the column. 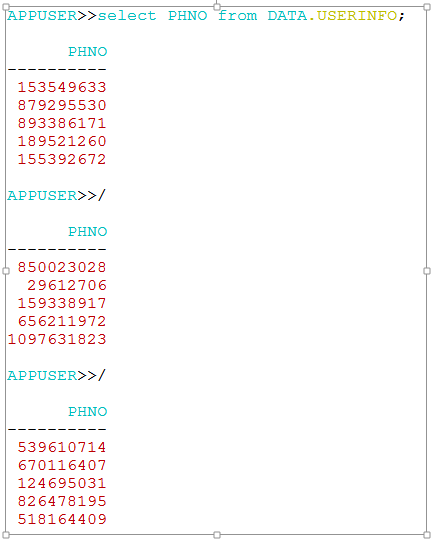 Columns of the NUMBER data type are redacted with a zero (0). Columns of the character data types are redacted with a single space. Run the below procedure to Full mask the data. 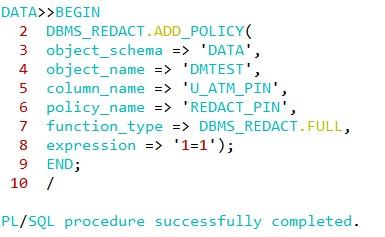 Run the below procedure to Full unmask the data. 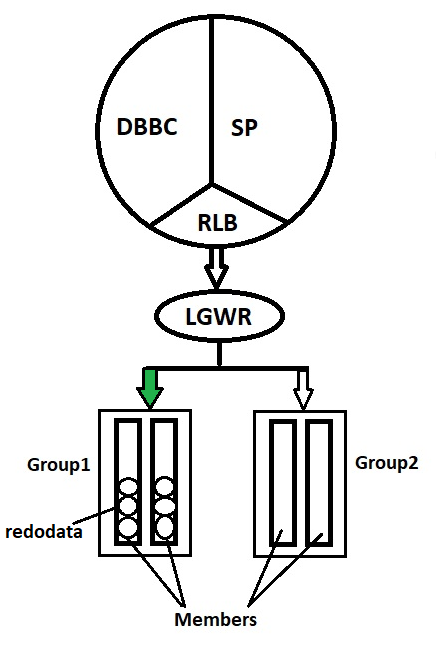 Partial redaction will redact a portion of the column data. In this case we redacting Account number with asterisks (*) except for the last 4 digits. Run the below procedure to Partially mask the data. We can drop the Redaction police by executing the following procedure. 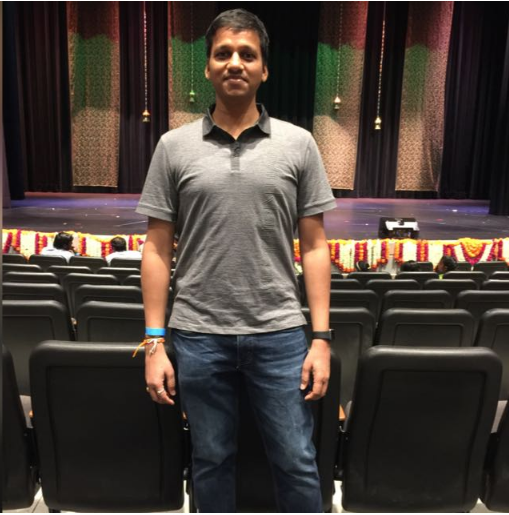 Regular expression can use regular expressions to look for patterns of data to redact. you can use regular expressions to redact email addresses, which can have varying character lengths. It is designed for use with character data only. 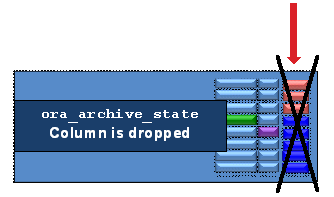 The redacted data presented to the querying application user appears as randomly generated values each time it is displayed, depending on the data type of the column. Run the below procedure for random mask the data. Grant Select privilege to appuser for select the data of userinfo table. 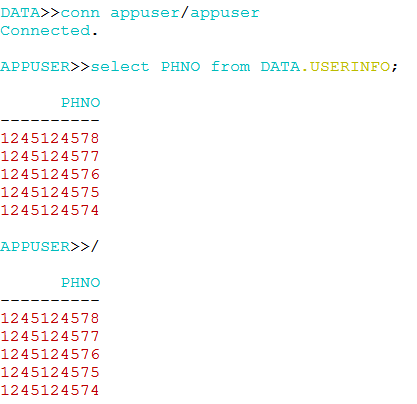 Connect the appuser and try to select the DATA user USERINFO table. 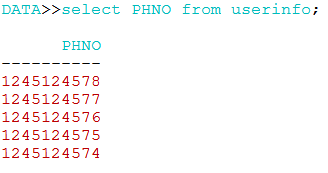 You can find every time it showing random values for PHNO column. Connect the DATA user and try to select the data. Run the below procedure to show actual values to the APPUSER. Connect the APPUSER user and try to select the data.